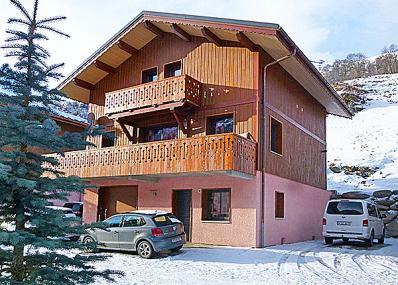 Superb luxury chalet located next to the ski slope (approx. 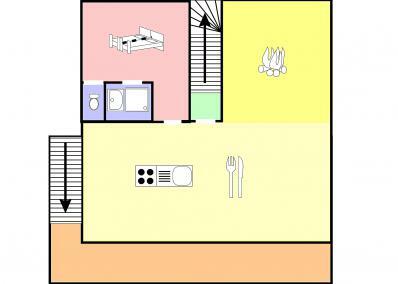 150 m), with jacuzzi, sauna, stove (pellets) and free WiFi. The chalet is situated in the picturesque mountain village of Les Menuires-Bettaix, which is directly connected to the world’s largest ski area Trois Vallées by the chair lift and by ski slope. 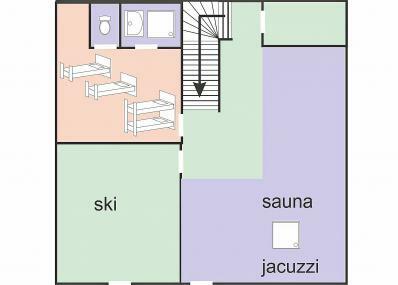 The chalet provides a spacious living room with dining area and a cozy chimney corner. 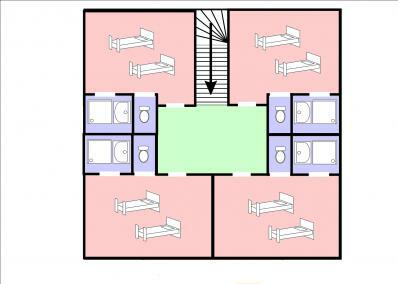 The five double rooms (two single beds each) as well as the family-room for 4 people all have an ‚ensuite‘ bathroom (with shower) and a separate toilet. From the balcony on the south side you have a spectacular view over the Belleville mountains and valley. The cross-country ski trail of the Belleville Valley is only ~150 m away. Après-ski pub and ski rental are also close by. The center of Les Menuires is reachable by car in approx. 10 minutes (~5 km), where you will find shopping malls, restaurants, supermarket, café, leisure-center with swimming pool, ski-shool, toboggan runs, childcare. Chalet altitude ~1,600 m; top of the ski slopes 3,230 m; 600 km of alpine slopes, 172 ski lifts; several ski lifts at 3,000 m, like at the glacier Peclet-Polset or the famous Cime de Caron. The chalet is based just 150 m from the fast 4-seater-chairlift, that takes you straight into the heart of the largest linked ski domain in the world. From the top of this lift, you can ski down to Les Menuires Centre on an easy slope to he meeting points of several ski schools. Thanks to this ski link, Le Bettaix is the perfect place to discover the slopes of Meribel, Courchevel and Val Thorens, too. Skiing from approx. 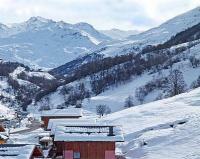 end of November until the beginning of May possible in the Val Thorens sector. The first ski lift of Val Thorens is accessible by car in about 10 minutes.